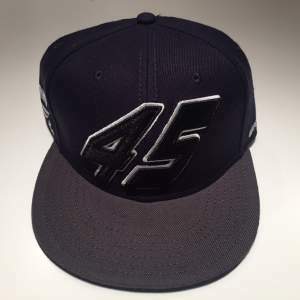 2017 GH45 Trucker Hat- Mesh Gray. 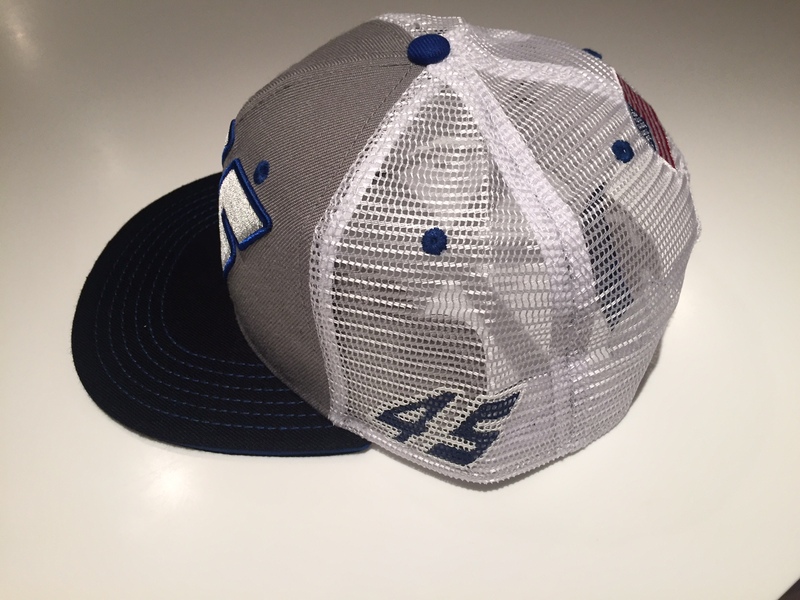 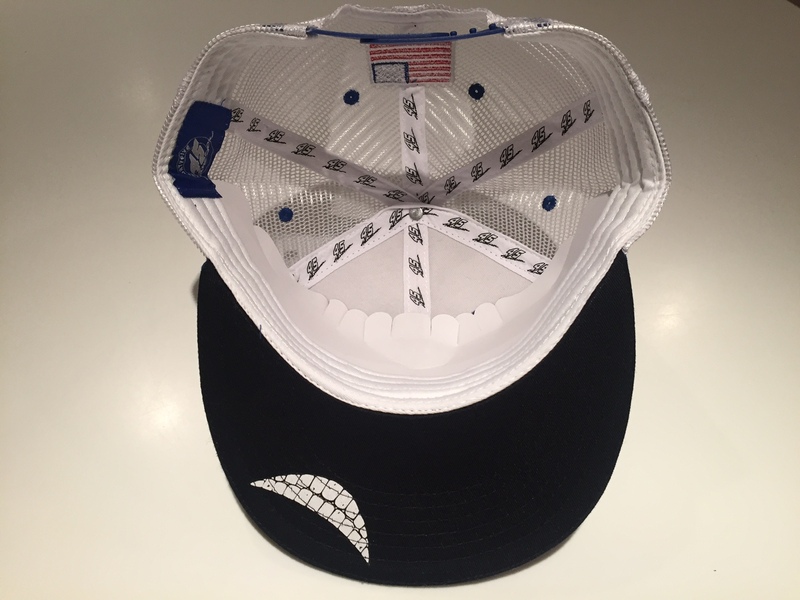 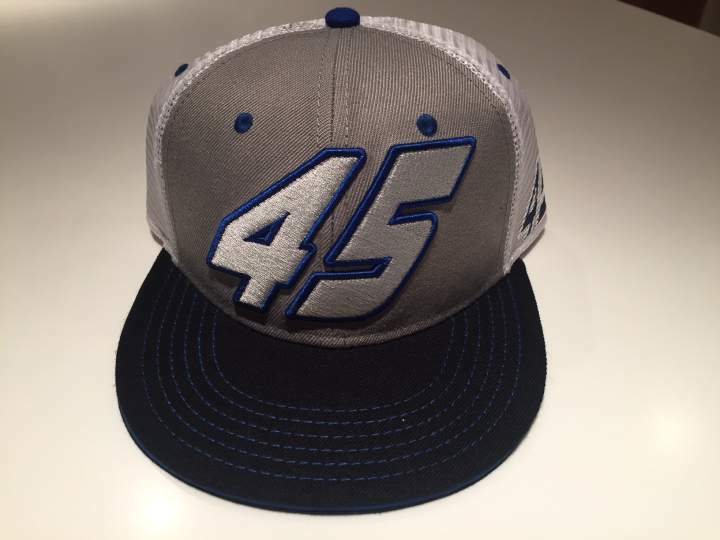 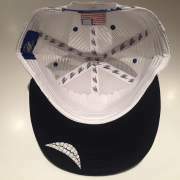 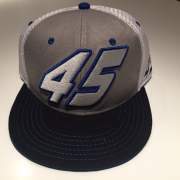 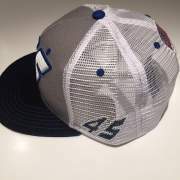 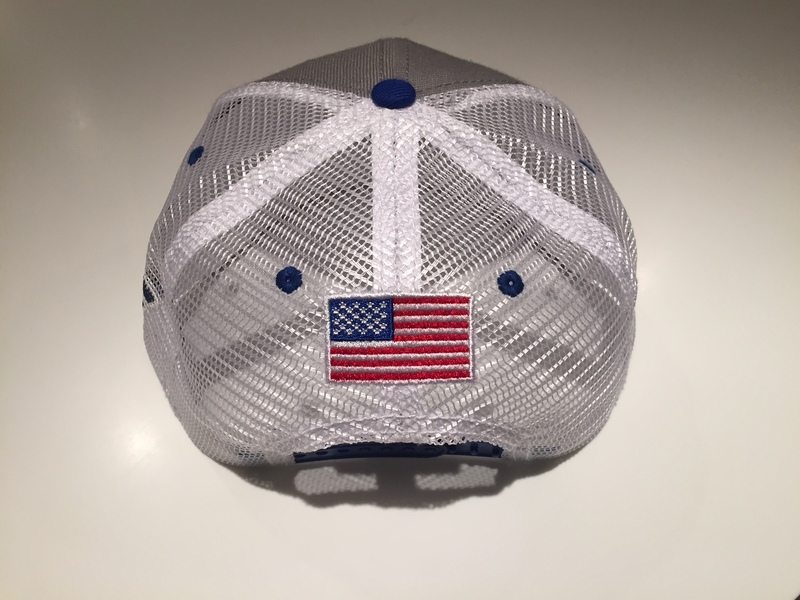 This unique trucker style mesh hat combines the 45 Logo on the front with the 45 logo also printed on the left side. 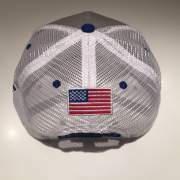 We also added an American flag to the back along with the GRIN teeth on the under side of the visor.